Here are some snazzy birthday facts about 12th of December 1931 that no one tells you about. Don’t wait a minute longer and jump in using the content links below. Average read time of 10 minutes. Enjoy! What day was my birthday Dec 12, 1931? December 12, 1931 was a Saturday and it was the 346th day of the year 1931. It was the 50th Saturday of that year. The next time you can reuse your old 1931 calendar will be in 2026. Both calendars will be exactly the same! This is assuming you are not interested in the dates for Easter and other irregular holidays that are based on a lunisolar calendar. What day is December 12 this year? There are 235 days left before your next birthday. You will be 88 years old when that day comes. There have been 31,907 days from the day you were born up to today. If you’ve been sleeping 8 hours daily since birth, then you have slept a total of 10,636 days or 29.12 years. You spent 33% of your life sleeping. Since night and day always follow each other, there were precisely 1,081 full moons after you were born up to this day. How many of them did you see? The next full moon that you can see will be on May 18 at 21:13:00 GMT – Saturday. Fun stat: Your first one billion seconds (1,000,000,000) happened sometime on August 20, 1963. If a dog named Beckham - a Norwich Terrier breed, was born on the same date as you then it will be 368 dog years old today. A dog’s first human year is equal to 15 dog years. Dogs age differently depending on breed and size. When you reach the age of 6 Beckham will be 40 dog years old. From that point forward a small-sized dog like Beckham will age 4 dog years for every human year. View the complete list of December 12 celebrity birthdays. Who are the famous December 12 birthdays? Here’s a short list of famous people in history who were born on Dec 12. View the complete list of December 12 famous birthdays. What happened on my birthday – Dec 12th? First Crusade: Siege of Ma'arrat al-Numan – Crusaders breach the town’s walls and massacre about 20,000 inhabitants. After finding themselves with insufficient food, they reportedly resort to cannibalism. Mary of Enghien sells the lordship of Argos and Nauplia to the Republic of Venice. The Order of the Dragon a monarchical chivalric order is created by Sigismund of Luxembourg, then King of Hungary. Lebensborn Project, a Nazi reproduction program, is founded by Heinrich Himmler. World War II: Approximately 70 people are killed in the Marples Hotel, Fitzalan Square, Sheffield, as a result of a German air raid. World War II: The United Kingdom declares war on Bulgaria. Hungary and Romania declare war on the United States. India declares war on Japan. World War II: German troops begin Operation Winter Storm, an attempt to relieve encircled Axis forces during the Battle of Stalingrad. Guinea joins the United Nations. Maaouya Ould Sid'Ahmed Taya becomes the third president of Mauritania after a coup d'état against Mohamed Khouna Ould Haidalla while the latter is attending a summit. 12-12-12: The Concert for Sandy Relief took place at Madison Square Garden and was broadcast on 20 international television networks to raise money for the victims of Hurricane Sandy. View the complete list of December 12 historical events. Curious about this Triple Strawberry Special? This is a party item you can activate and send to your friends when you play the free game Jump Birthday Party. It’s a fun and easy-to-play mobile game for all ages. Get free 1,000 gold coins when you download today! What does my birthday December 12, 1931 mean? 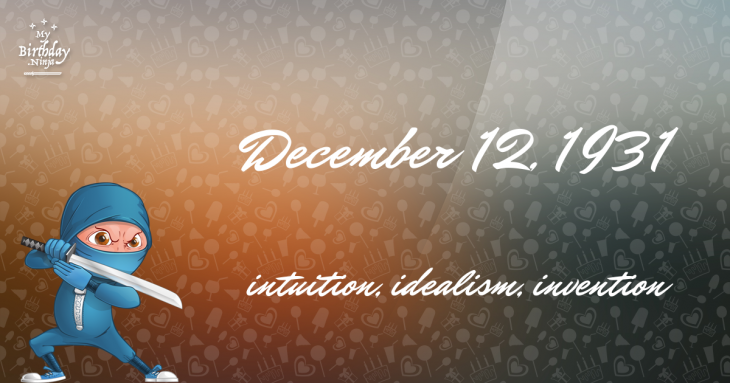 Your birthday numbers 12, 12, and 1931 reveal that your Life Path number is 11. It is a master number that represents intuition, idealism and invention. You have the potential to be a source of inspiration and illumination for people. The following celebrities also have the same life path number: Sandi Griffiths, Hiroyuki Sanada, Bobby Moynihan, Yosi Piamenta, John Krasinski, Rick Davies, Virginia MacWatters, Sabrina Le Beauf, Angel Haze, Tommy Emmanuel. What is the birthday horoscope for Dec 12, 1931? The Western zodiac or sun sign of a person born on December 12 is Sagittarius ♐ (The Archer) – a mutable sign with Fire as Western element. The ruling planet is Jupiter – the planet of luck and expansion. According to the ancient art of Chinese astrology (or Eastern zodiac), Sheep is the mythical animal and Metal is the Eastern element of a person born on December 12, 1931. What is the birthstone for December 12? Turquoise is the modern birthstone for the month of December while Onyx is the mystical birth stone (based on Tibetan origin). The zodiac gemstone for Sagittarius is topaz. Lastly, the birthday stone for the day of the week ‘Saturday’ is turquoise. Fun fact: The birth flower for 12th December 1931 is Holly for precious moments. What is the Love Match for Dec 12, 1931? When it comes to love and relationship, you are most compatible with a person born on December 14, 1935. You have a Love Match compatibility score of +137. Imagine being in love with your soul mate. On the negative side, you are most incompatible with a person born on June 29, 1908. Your incompatibility score is -198. You’ll be like a cat and a dog on a love-hate relationship. Arf-arf, I want to bite you. Meow-meow, stay away from me! What is a good birthday trivia for December 12? I do not know how you feel about this, but you were a female ♀ in your last earthly incarnation. You were born somewhere around the territory of Portugal approximately on 400. Your profession was jeweler, watch-maker. What is the popular baby name on 12 Dec 1931? What’s your bizarre Florida Man story? The #FloridaManChallenge is breaking the Internet and social media. Some crazy men, women, or creatures from the Sunshine State are making headlines every day of the year including your birthday. Try this fun exercise. Pick your search engine of choice and type in “florida man December 12” and see what kind of wild news headline you will get. This viral craze started in 2013 and gets resurrected now and then. The latest was from Tumblr and found its way to Twitter. As they say, the rest is history. Here’s a quick list of all the fun birthday facts about December 12, 1931. Celebrities, famous birthdays, historical events, and past life were excluded. 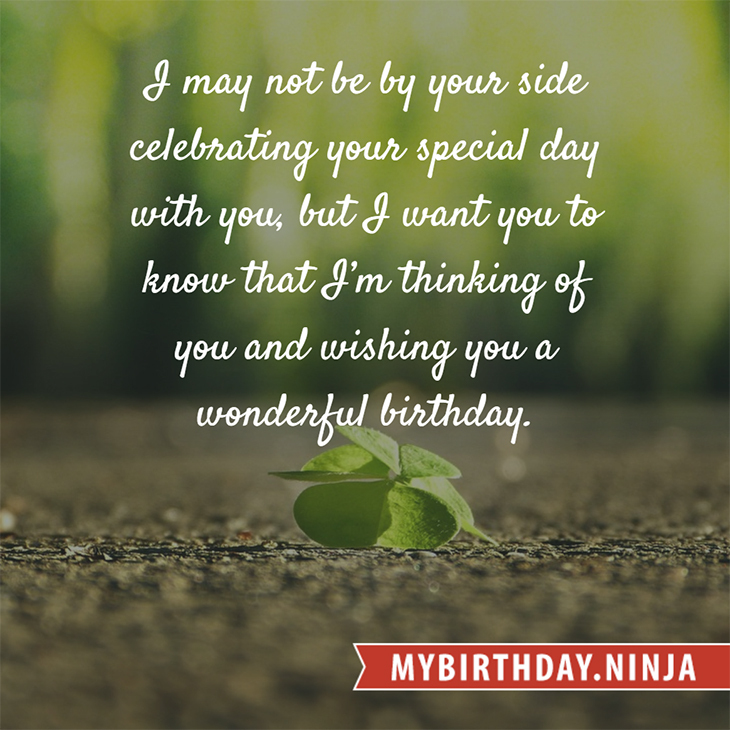 Try another birth date of someone you know or try the birthday of these celebrities: October 15, 1958 – Masako Katsuki, Japanese voice actress and singer; March 19, 1969 – Gary Jules, American singer-songwriter and guitarist; September 24, 1918 – Audra Lindley, American actress (d. 1997).